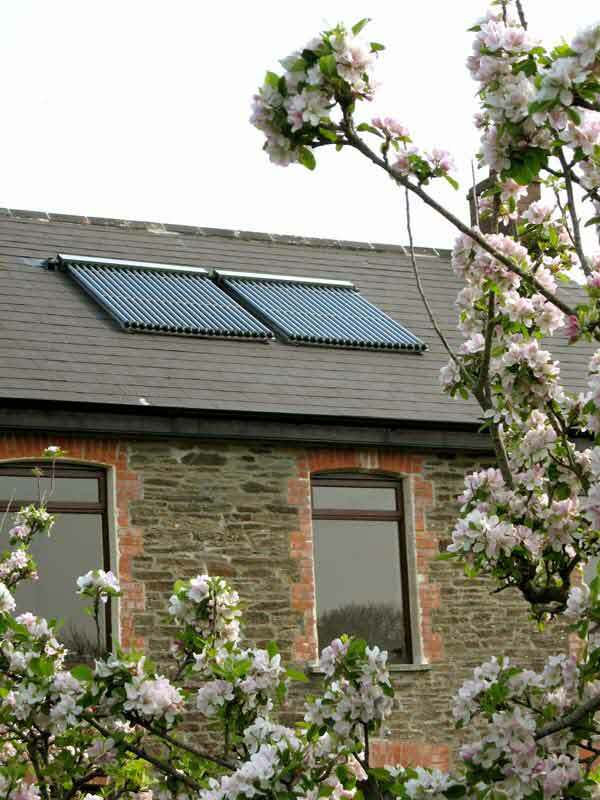 Our campsite facilities are well insulated and benefit from solar thermal under floor heating and hot water. Our aim is for 100% solar hot water, but for the less sunny days we do have a modern condensing boiler that is 94% efficient and these systems are harmonised by micro-processor control to ensure our heating carbon footprint is kept to the absolute minimum. Electricity is provided by a green energy supplier and public lighting is automatically controlled with many of our hi-use areas already upgraded with efficient low wattage varieties and the remainder to be renewed as and when they eventually wear out to reduce waste. Water is conserved through the use of dual flush toilets for our facilities and rain water harvesting in the form of water butts for the garden. To reduce water pollution our cleaning products and detergents are ecological. Our own linen and Caravan linen is washed at low temperatures using our solar hot water and then hung out to naturally air dry. To help our visitors to reduce the amount of waste going to land fill sites in the Cornish countryside we maintain full recycling facilities. Tin, glass, paper and plastic can all be separated and we also provide a compost bin for non meat food scraps to produce humus for the garden. In the garden chemical spray use has been minimized by the introduction of pesticide and herbicide free methods to encourage bio-diversity. Wild areas and indigenous species are allowed to prosper. Bird feeders are provided and old trees and prunings selected to decompose naturally providing a living banquet of bugs and crawlies. Efficient diesel powered grass cutters are utilised wherever possible to maintain the main site and clippings are mulched to feed the grass land reducing the need for fertilizers. 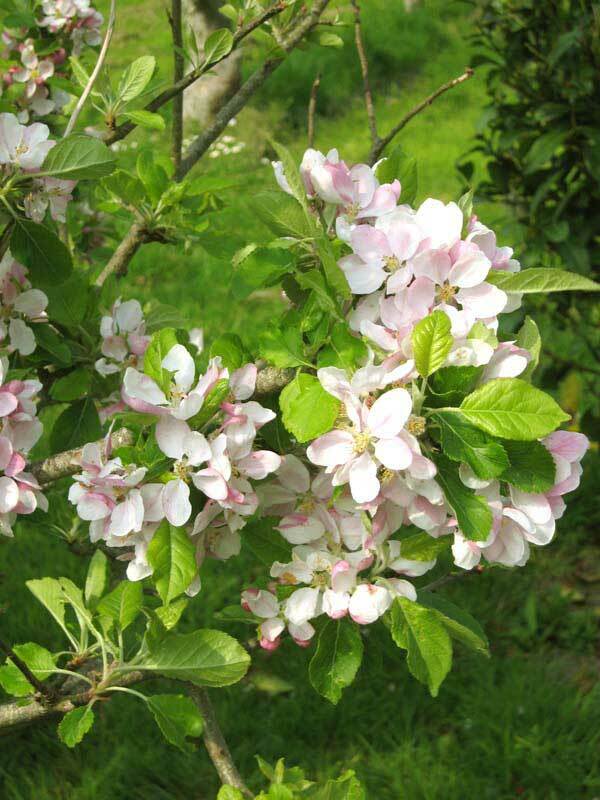 Apples from our own orchard are available from late August onwards. 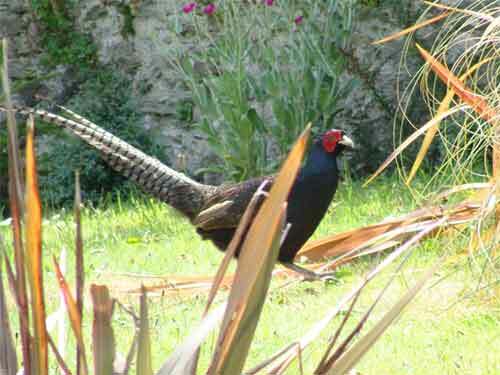 To allow our guests to enjoy their stay and engage more fully with the local area we encourage relaxing slow holidays. That is to leave behind the car and make the most of the many foot and coastal paths, cycles ways and beaches that we have in the immediate area. We invite our guests to help reduce food miles and support the local economy by eating out at local eateries and to try locally grown produce that maybe purchased direct from the local suppliers. Fowey is rich with a number of outlets specialising in either freshly landed sea foods, locally reared meats or harvested produced. Other nearby outlets include the award winning Lostwithiel Farmers Market and Lobbs Farm Shop at Heligan Gardens. * Leave gates and property as you found it. * Protect animals and plants, take your litter home. * Keep dogs and animals under control. Above all be safe, enjoy your holiday, tell your friends and come back soon!